Dr. Hadi is board certified in internal medicine. She completed her undergraduate degree in bioengineering from the University of Pennsylvania. She then was awarded her medical degree from the Icahn School of Medicine at Mount Sinai. 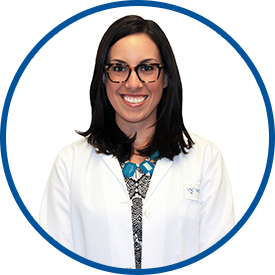 She completed her internship and residency in internal medicine at the Mount Sinai Medical Center – Department of Medicine. Most recently, Dr. Hadi was a clinical instructor and night hospitalist at Memorial Sloan Kettering Cancer Center – Department of Medicine. Dr. Hadi joined Westmed Medical Group on September 1, 2014. Dr. Hadi is amazing! she always listens and never makes you feel bad or uncomfortable. we love her! Have recommended her to family and friends. A few are already her patients and very pleased with *Dr. Hadi as I am. Dr. Hadi is the best! My entire family sees her. Dr. Hadi is a very friendly, patient and caring physician who listens carefully and explains everything in detail. Dr. Hadi is very professional and courteous. She explains health options clearly and listens very well to my concerns. She follows-up with my care on patient portal and text in regards to my health care. Very glad I have found this provider. Dr. Hadi is an EXCELLENT provider. Dr. Hadi is absolutely wonderful. In my honest opinion, she is the epitome of what a doctor should be in every possible way. Not only is she incredibly intelligent and knowledgeable, the is kind and soft-spoken in a way that is comforting and relieving. I felt like I was visiting a friend and not a doctor that knows more than I do. I very much appreciated her punctuality and respect for my time. Additionally, she is incredibly responsive to emails, which is a nice touch. I have already told some of my friends and relatives to see her because she is fantastic. Dr. Hadi is one of the best physicians that I've ever seen. Her care, concern, and solutions are always welcomed. She takes her time and answers all questions. Dr. Hadi and her nurse were a pleasure! Thank you so much! Provider extremely knowledgeable and able to explain complex diagnoses in simple terms. Dr. Hadi is the best doctor I have ever seen. She is very kind, takes time to listen, and answers any and all questions that I have. *Dr. Hadi is one of the best doctors I have ever met! I'd be lost without her! I will recommend my doctor to my family and friends. was very clear with what I needed to do moving forward to obtain a healthy lifestyle. Dr. Hadi is great. She made a terrific first impression.